Choose from 256 paper dolls you can download and print for free. Choose from boy dolls, girl dolls, ballerina dolls, cheerleader dolls, and more. These free paper dolls are easy to download and print. Each paper doll is available in Acrobat (PDF) format. Just download one, open it in Acrobat (or another program that can display the PDF file format) and print. -- The Buddies are in black and white and can be used with any of the clothes for the various seasons and themes. -- There are so many things you can do with these printable paper dolls. You can print them for yourself or young children to play with! -- It's never too soon to introduce youngsters to different cultures and ways of life. A great way to assist with this task is through our printable paper dolls, which feature dozens of characters from a variety of different countries, historical time periods, and professions. -- Paper dolls are useful and fun on so many levels. You can use them with young children for developing vocabulary and fine motor skills. Older children will enjoy practicing their colouring and cutting out skills, and deciding on the best outfits to wear. 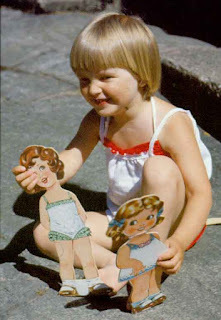 -- Old fashioned paper dolls with clothes are now hard to find, but here you can make your own, and personalize them to make them special - the kids can colour in the clothes and the dolls, then dress them up how they wish. -- A Downloadable Little Bo Peep nursery rhyme paper doll to color. Restored from a page in March 1926, Children's Home Magazine. Many more paper dolls too! -- A Guide to the over 600 pages of printable paper dolls on Paper Thin Personas.